Apple unveiled a 9.7-inch iPad Pro at their keynote event today, filling their roster to four different iPads. The smaller iPad Pro has the same screen size as the iPad Air 2, but comes with significant improvements under the hood. 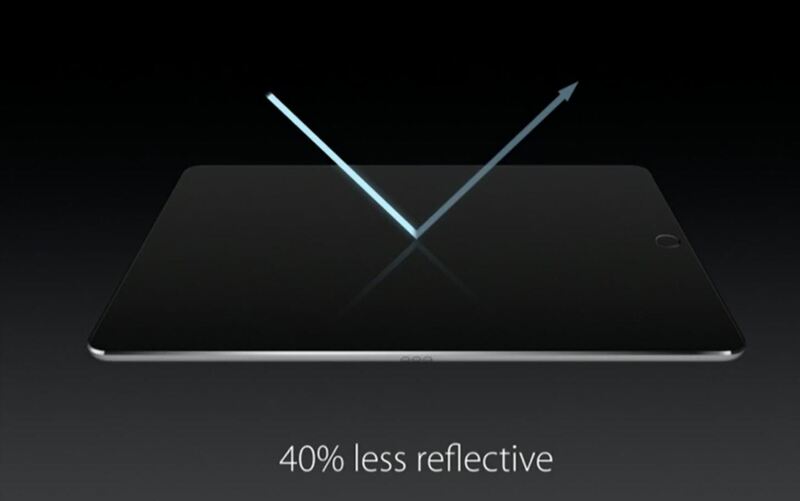 Keynote speaker Phillip Schiller rolled into the details: it's 40% less reflective than the Air with only 1.8% screen reflectivity, 25% brighter, produces 500 nits of light (making it "the brightest tablet available"), and has 25% greater color saturation. It also comes in a rose finish. How does it stack with the bigger Pro? Much better. The little sibling has the same A9X chip with M9 co-processor, but other components were beefed up. It has four stereo speakers, one on each side, which adjust automatically depending on how you hold it. Schiller also noted that the new iPad has over half a teraflop of processing power, which is "more than an Xbox 360 in a device that you hold in the palms of your hands." Check out the spec list below, and head to Apple's website for a full overview. The coolest thing is the "True Tone Display." It looks weird when you're in a library and the bulbs are all yellow, and there your iPad is, blasting a piercing white into the room that can make it hard to look at, let alone being somewhat of a faux pas. True Tone Display fixes that by scanning the color temperature of the light around you and adjusts its screen output accordingly. 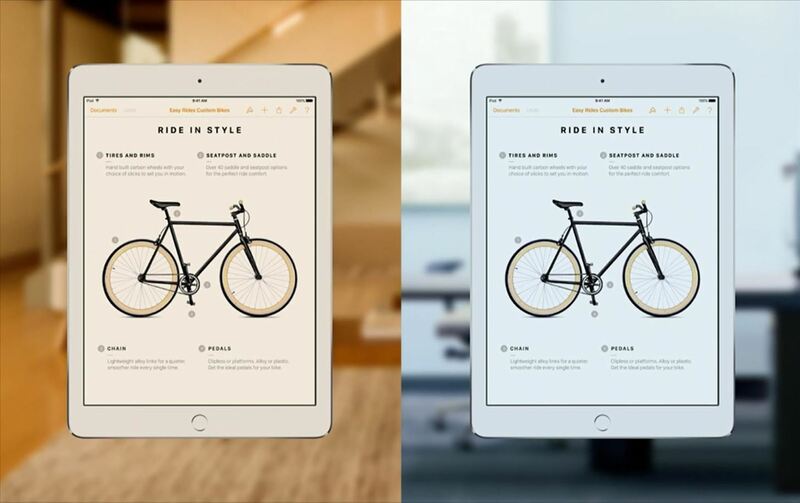 So now the book you're reading on your iPad will actually look like one. The most interesting feature I saw were peripherals. Apple gave the smaller Pro an attachable keyboard that, in concert with the new iOS 9.3 build released today, allows for more desktop like interaction (such as command-tab to switch between apps). 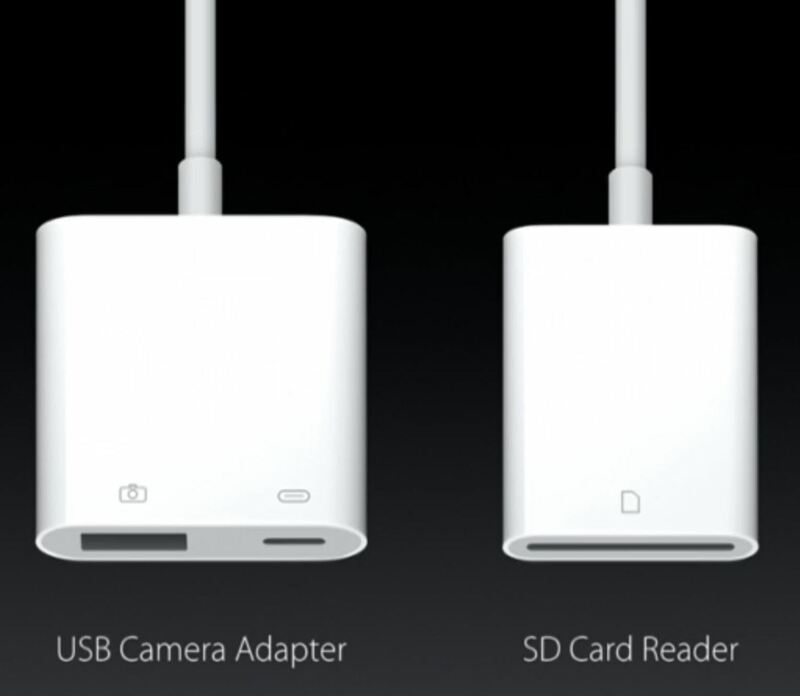 The other was adapters: one for SD cards, and one with both USB and camera ports. This should throw photography into a realm of handiness hitherto unknown, along with the universal language of USB cords. 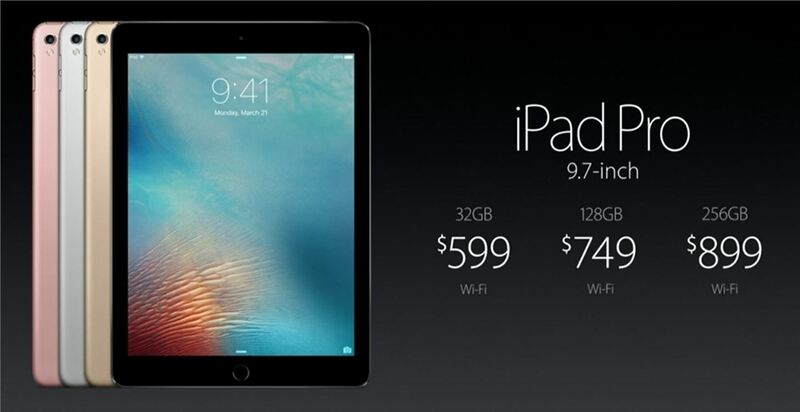 Pre-orders for the 9.7-inch iPad can be placed starting March 24 and will begin shipping March 31.